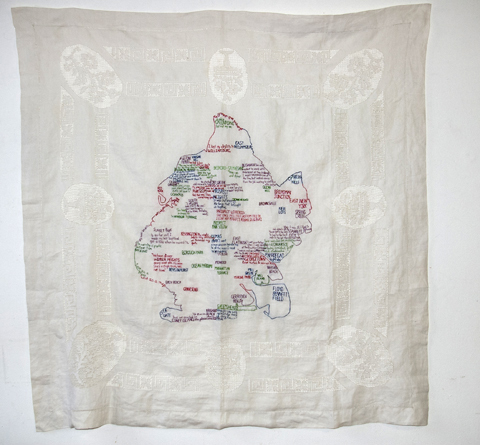 “Brooklyn Love Map.” Embroidery on antique textile. 42×42″. 2011. Part of the BAC-sponsored Brooklyn Love Exchange.